Kuschynski (previous Lanterne Rouge of stages 1-3), Napolitano, and Cavendish are all riding in their first Tour de France. Vansevenant was the overall Lanterne Rouge of the 2006 Tour. 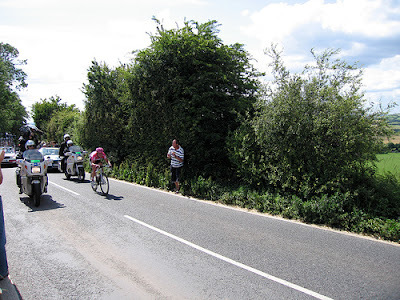 The photo of Cavendish "off the back" above is from Stage 1, by Simon Clayson, when he finished 3rd from last.